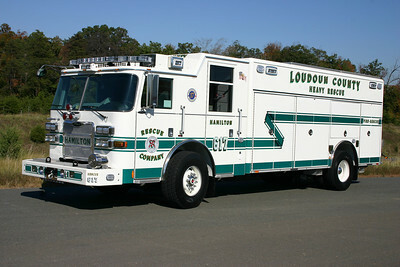 Hamilton Volunteer Rescue Squad - Loudoun Station 17. 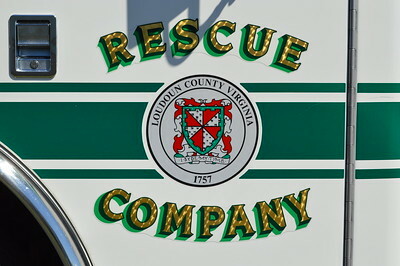 Hamilton, VA Rescue 617 door emblem on their 2010 Pierce Arrow XT. 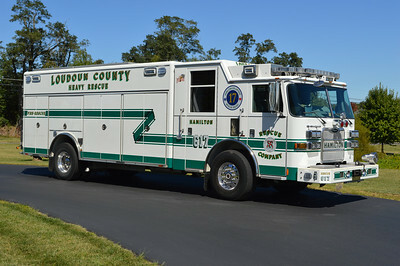 Hamilton, VA - Loudoun County Rescue 617 - 2010 Pierce Arrow XT with job number 22949. Newer steel wheel covers added. Rescue 617 is a 2010 Pierce Arrow XT and photographed in November of 2011. 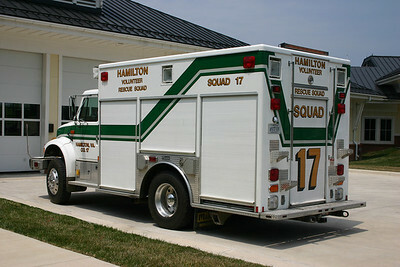 Hamilton's Rescue 617 is a 2010 Pierce Arrow XT heavy squad that replaced a mid size 1994 International 4900/Marion. The 2010 Pierce Arrow was photographed at the Pierce dealership in Manassas, Virginia after arriving from Pierce in Wisconsin. This photograph was featured in the March/April 2011 edition of Fire Apparatus Journal. A rear view of Rescue 617. 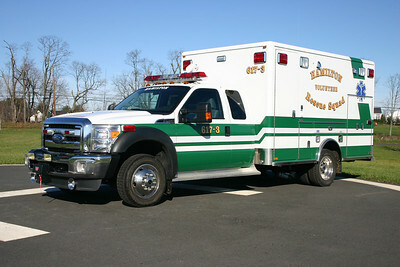 617 (former A617-3) at Hamilton Rescue is a 2011 Ford F450 4x4 built by Horton. All three ambulances at Hamilton VRS have Horton boxes. 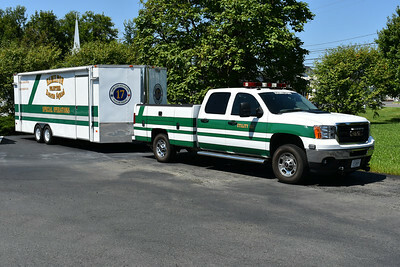 This 2011 Ford F450 has the "half doors", which allow for additional storage of equipment. 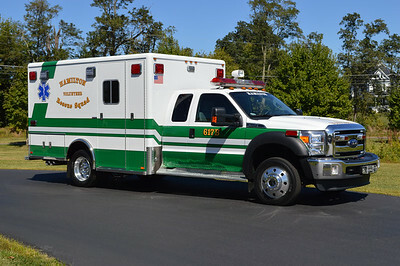 Another view of 617, a 2011 Ford F450 4x4/Horton. 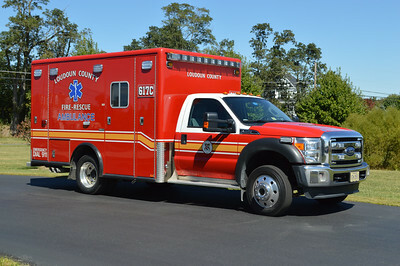 Hamilton, VA 617-B, a 2015 Ford F450 4x4 with a 2006 Horton ambulance body. Horton did the remount of Hamilton's 2006 box. 617-2 with it's former 2006 Ford F450 4x4 front end and photographed in November of 2011 on the helipad located at Stations 5/17. The officer side of 617-2, a 2006 Ford F450 4x4/Horton. 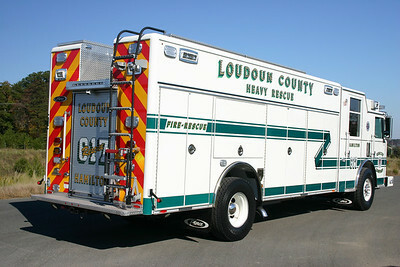 Loudoun County runs an ambulance at Station 17 in Hamilton in addition to the volunteer ambulances. 617-C is a 2013 Ford F450 4x4/Horton. 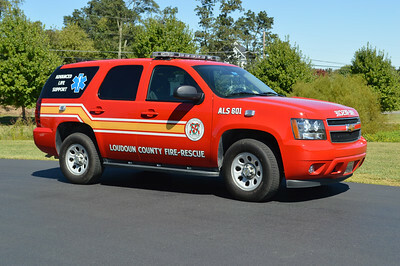 Loudoun County, Virginia ALS 601 is housed at the Hamilton Public Safety Center (Station 5 for fire and Station 17 for Rescue). ALS 601 is a 2012 Chevrolet Tahoe. 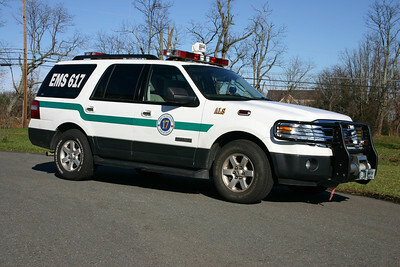 EMS 617 is a 2007 Ford Expedition. 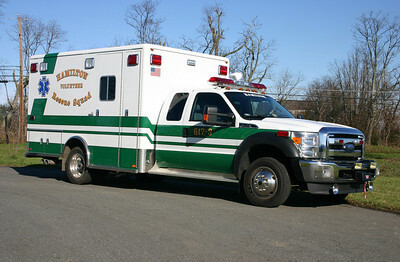 SERV 617 (Special Emergency Response Vehicle) is a 2008 Ford. 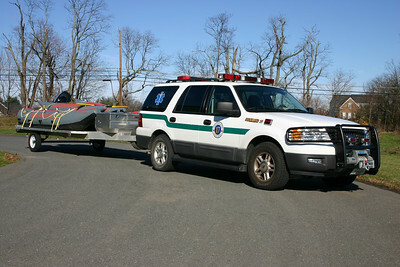 Command 17 is one of several utility vehicles used to tow the boats at Station 17. 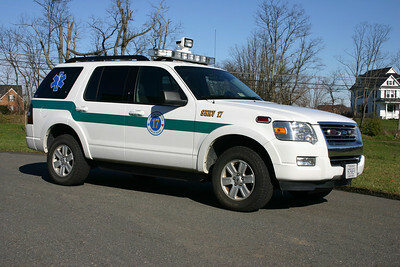 Command 17 is a 2004 Ford Expedition equipped by Fast Lane. 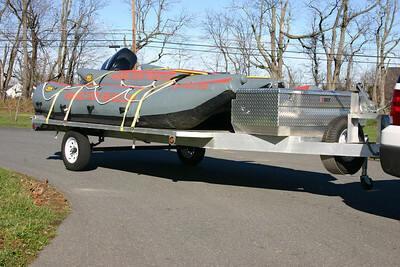 Two Dib boats as well as a Dib trailer provide water rescue capability for Station 17. Utility 617 is a 2013 GMC King Cab with a body finished by FastLane. 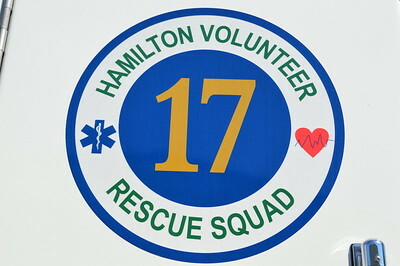 Hamilton Volunteer Rescue Squad 17 was purchased in the late 1990's from the Winchester Volunteer Rescue Squad. 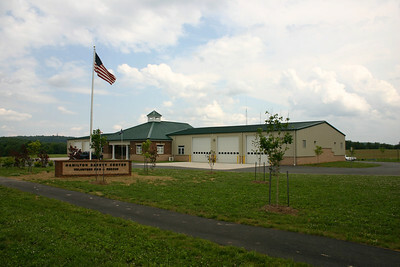 The Winchester Volunteer Rescue Squad is now the Millwood Station Volunteer Fire and Rescue in Frederick County, Virginia. 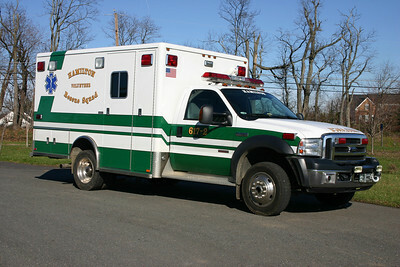 Squad 17 is a 1994 International 4900 built by Marion and was replaced in 2011. The back side of Squad 17. 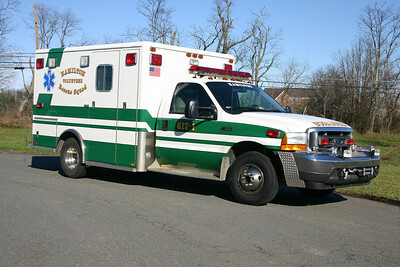 The 1994 International 4900/Marion was photographed at the rear of the Purcellville Volunteer Rescue Squad - Station 14. 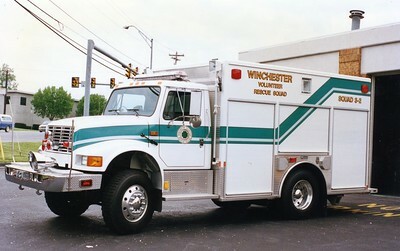 Former Squad 3-2 from Winchester Rescue, a 1993 International/Marion. 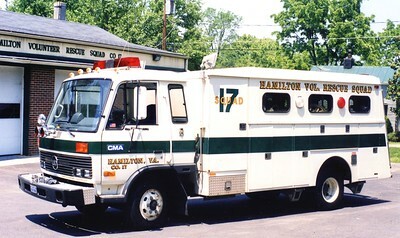 Sold to the Hamilton Rescue Squad (Loudoun County, Virginia) in 1998. 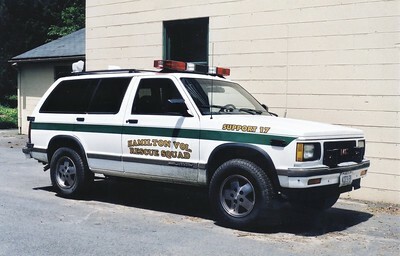 Former Squad 17, a unique 1986 Nissan/?? Reading/1987 Keplinger, sn- 126. The Reading body is former Winchester, Virginia. 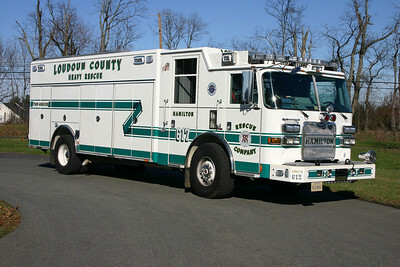 Sold to LSI (fire apparatus repair company) in 1998. 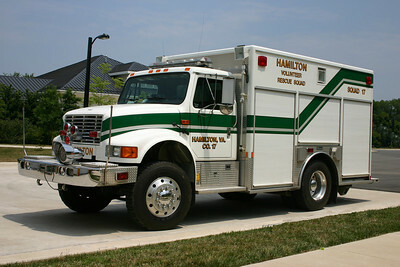 Former 617-1 from Hamilton Rescue is this 2001 Ford F350 4x4/Horton. Note the extended front bumper (dual horns) with winch. All of Station 17's ambulances are equipped with a front winch. Sold with the arrival of the newer Ford. 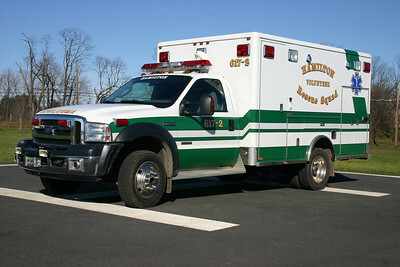 Former Support 17, a 1995 GMC Jimmy. 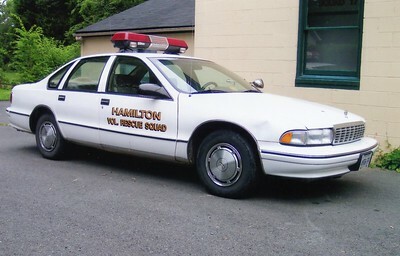 Former Car 17 from Hamilton Rescue, a 1995 Chevy Caprice. ex - Loudoun County Sheriff's Office.